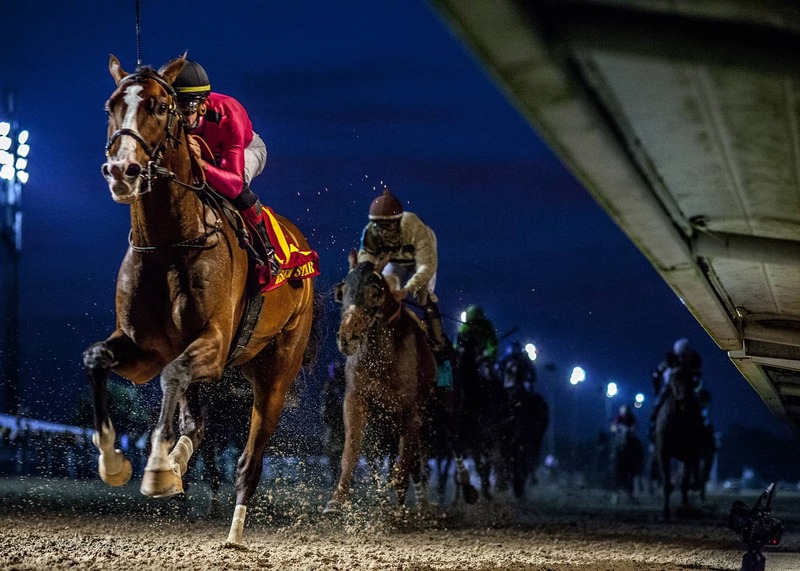 Louisiana’s biggest race of the year is set for this Saturday with the 106th running of the Louisiana Derby (G2) at Fair Grounds. 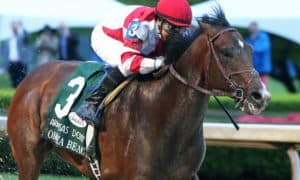 A field of 11 promising 3-year-olds will do battle in this contest, including the LeComte Stakes (G3) and Risen Star Stakes (G2) winner War of Will. The Louisiana Derby is carded as the last of 13 races on Saturday, with a post time of 5:13 p.m. CT. The Mark Casse-trained War of Will is likely to grab all of the headlines for this event. After breaking his maiden in his final race of 2018, he has been flawless in 2019, with his two previously-mentioned wins here at Fair Grounds. The War Front colt is now 3-for-3 since moving to the dirt and comes into this race atop the Kentucky Derby Points leaderboard with 60 points. Tyler Gaffalione will have the mount once again as they break from post 6. Also returning to Fair Grounds after running in the Risen Star Stakes (G2) is the Bill Mott-trained Country House, who was second in his stakes debut. After breaking his maiden at Gulfstream Park, Mott aggressively sent him to Fair Grounds, which is not usually his style. Jockey Luis Saez will come in to ride for the third straight time, breaking from post 8. 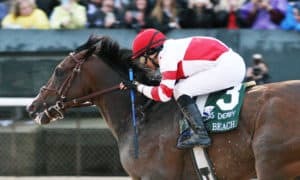 Trainer Todd Pletcher has had a rough time on the Kentucky Derby Trail this season; however, he brings in the up-and-coming Spinoff for this race, which could be his best colt. The son of Hard Spun was a winner last time out at Tampa Bay Downs, running for the the first time in six months. The Tampa Bay path is similar to the route that Pletcher took with former stars Magnum Moon and Always Dreaming. Spinoff drew post 10 for this event with John Velazquez in the saddle. The full field from the rail out: Roiland, Lemniscate, Limonite, Sueno, By My Standards, War of Will, Mr. Money, Country House, Bankit, Spinoff, and Hog Creek Hustle. #6 War of Will – This is the best 3-year-old colt to run at Fair Grounds since Gun Runner in 2016. He turned the LeComte Stakes (G3) and Risen Star Stakes (G2) into laughers, winning both by multiple lengths while barely asked to run, which makes him ultra-dangerous moving forward. His ability to make his own trip has been his best weapon in this last two races, as he has stalked the pace in both starts. As long as he doesn’t get involved with the pace here, he should win, and there is no reason to think that he won’t get the perfect trip again from this post position. 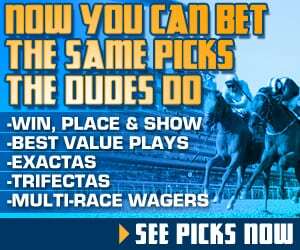 #8 Country House – Mott is loaded with prospects, and we’ve seen solid progression from this horse with each and every start, which is exactly what you want to see this time of year. 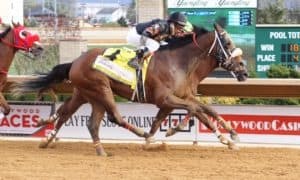 This horse has finished first or second in all three of his starts on the dirt, at one point making up solid ground in the stretch of the Risen Star Stakes (G2) on War of Will. Here, he gets a little extra distance, which should help his late-closing style. 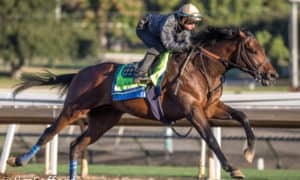 He’ll be a major factor; however, he’ll most likely need War of Will to get tired late in the race if he is going to catch him. #10 Spinoff – For my money, this is Pletcher’s best chance to make the Kentucky Derby this season. In fact, he might end up being his only starter, but he does need to have a big showing in this spot. 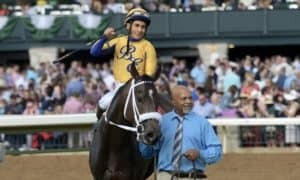 Much like Always Dreaming and Magnum Moon, Spinoff used the Tampa Bay Downs route as a prep for a tougher stakes event. 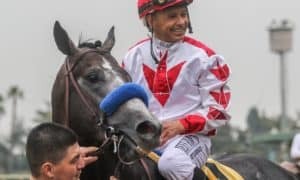 That is a good sign, and the way in which he won his last race showed that he has plenty left in the tank for him to improve. He should be a major player. #4 Sueno – He might be this year’s version of My Boy Jack for trainer Keith Desourmeaux. I’m not sure he is quite as talented, but he will have a shot to get up and hit the board in this spot. The pace should be fairly quick for him to close into, and the Fair Grounds stretch will be kind to his running style. He’ll come with a run at the end. 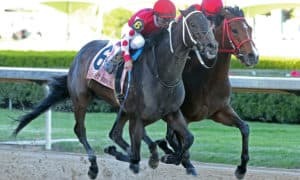 #11 Hog Creek Hustle – This horse has been consistent in all of his Fair Grounds starts this season; however, he has never threatened the winner, especially since going up against War of Will. It will likely be more of the same for him here. He’s classy enough to run decent in a race like this, just not good enough to win. #9 Bankit – We’ll see if trainer Steve Asmussen can strike once again this weekend after winning the Rebel Stakes (G2) last weekend with Long Range Toddy. 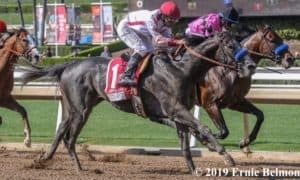 Speaking of Long Range Toddy, this horse lost narrowly to him in the Remington Park Springboard Mile Stakes, which shows that he has some ability. However, he has been poor in both of his starts this season at Oaklawn Park. 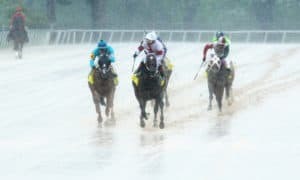 The change in track makes him interesting today, as there is a solid chance he just didn’t like the conditions at Oaklawn. The long Fair Grounds stretch should suit his running style a little better. #3 Limonite – He is in the same boat as Bankit, as he comes into this race with a chance to improve. There is no doubt that his running style is always going to leave him with a lot of work to do, which makes you wonder if they won’t ask him for a little more speed early on in the race. The pace should set up for the closers to come running, which gives him a legitimate shot. There are worse longshots to can play in this race. #5 By My Standards – It took four races for him to break his maiden, which isn’t usually a great sign, but there is no doubt that he was impressive last time out in victory. He was defeated by highly-regarded horses in his losses; however, he still might be outclassed in this race. #1 Roiland – Last time out in the Risen Star Stakes (G2), he took advantage of a hot pace to finish a decent fourth. He will need that kind of setup in order to make an impact again in this spot, which is possible, but there are a lot of other closers in this race that could outfinish him down the lane in this spot. #7 Mr. Money – At one time, he was a horse to watch after his decent showing in the Breeders’ Cup Juvenile (G1), but 2019 has been tough on him. He got sick early in the season and missed some training, then returned with a struggling finish last time out in the Risen Star Stakes (G2). He has a lot to prove in this race. #2 Lemniscate – Trainer Kenny McPeek will give this race a shot after Lemniscate broke his maiden over the turf at Gulfstream Park last time out. 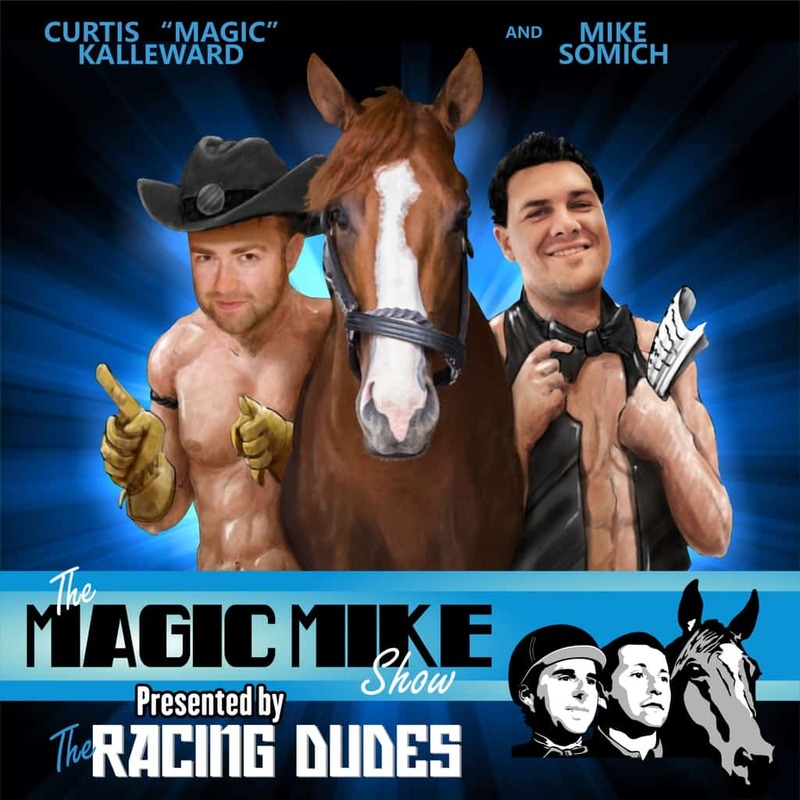 That was a nice win; however, he has lost his only two starts on the dirt. This should be a difficult change for him.